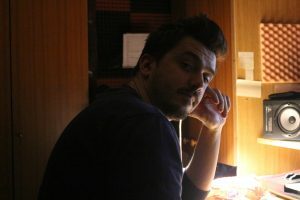 Krzysztof Kus borned in 1992 is a professional Music Composer and Sound Designer from Kobielnik, near Kraków. He started his music career in 2006. Years of experience in Trance Music lead him to Epic Music. In 2012 he started his music composing project called „Synthphonia” – a new fresh look into Epic Music. He released many album with Clarence Yapp, Michał Riske. Since 2017 Synthphonia is a Krzysztof’s solo project. Synthphonia released albums in well known Hollywood Trailer Music Companies like Sub-Pub Music, Revolt Music Production, Switch Music Group or one of the biggest Youtube epic music channels : EpicMusicVN. In 2014 his track „Your Heart is Brave” composed with amazing singer Monika Emat was an opening hymn for Charity album Composers for Relief : Supporting the Philippines. Cooperation with Monika gave few great tracks. For example „Asylum” hits over 8 mln views in Youtube in Epic Music compilation video on EpicMusicVN channel. In 2017 Krzysztof finished the licentiate on The School of Banking and Management in Kraków with specialization : Advertisement and Graphic Design. Krzysztof plays fluently on drums and occasionaly on a bass guitar. In 2017 he composed his first movie score for a Wojciech Wojtczak’s movie called „Solace”. In the same year his three tracks from album „Superheroes” released in Revolt Music Production were used in official Dakar 2017 Rally campaign. Krzysztof works not only as a movie/trailer music composer. He love composing music for games. In 2017 he scored 3 games included: Bloody Efforts – dynamic moba game, Beer Ranger – soulslike platformer and RoboPup for a „Game Design Bachelor of Science” project. In 2016 he started his Sound Design Career. He can fluently works in FL Studio, Audacity, Sony SoundForge, FMOD and many more. Years of experience with music taught him working with best audio plugin in the world including: Izotope plugins, Waves plugins, U-HE and more. He also can recording audio in foley and studio methods. From 2016 to now he made an audio for over 6 games including LudumDare game jams projects. He can also make full audio mix for a european TV format. In 2018 his audio for a LudumDare 41 game took 76th place from over 3000 games. He’s also a voice actor and self-taught graphic artist. Since 2018 he started his own sound design blog called „Speed of Sound” where he shows his skills, gives a tips for beginners, and talk about audio gear, news and many more.